↑ Edwards, Viv। "Gujarati today"। ব্রিটিশ ব্রডকাস্টিং কর্পোরেশন। Gujaratis form the second largest of the British South Asian speech communities, with important settlements in Leicester and Coventry in the Midlands, in the northern textile towns and in Greater London. ↑ Barlas, Robert; Yong, Jui Lin (২০১০)। Uganda। Marshall Cavendish। পৃষ্ঠা 96। আইএসবিএন 9780761448594। Of the non-Ugandan languages, Hindi and Gujarati are commonly spoken among members of the Asian Hindu community that migrated to Uganda during the early part of the 20th century. ↑ "Indian South Africans"। South African History Online। English is spoken as a first language by most Indian South Africans, although a minority of the Indian South African population, especially the elders, still speak some Indian languages. These languages include Hindi, Tamil, Telugu, Urdu, Punjabi, and Gujarati. ↑ "Immigrant languages in Canada"। Statistics Canada। Indo‑Iranian languages include Persian, mainly spoken in Iran, with 177,000 persons, along with various languages of the Indian subcontinent, including Punjabi (460,000)—the top immigrant language reported in Canada—as well as Urdu (194,000), and Hindi and Gujarati, each with just over 100,000 persons. ↑ "Gujarati: The language spoken by more than 55 million people"। The Straits Times। ২০১৭-০১-১৯। Gujarati is at least 700 years old and is spoken by more than 55 million people worldwide. ↑ Benson, Eugene (৩০ নভেম্বর ২০০৪)। Encyclopedia of Post-Colonial Literatures in English। Routledge। পৃষ্ঠা 563। আইএসবিএন 9781134468485। Gandhi's seminal work, 'Hind Swaraj' ('Indian Home Role'), appeared in the columns of Indian Opinion in 1909. 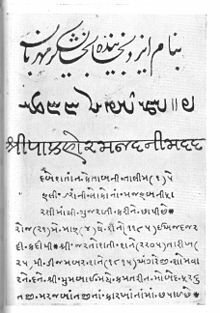 Originally written in his mother tongue, Gujarati, it was translated into English by Gandhi and published as Hind Swaraj or Indian Home Role in 1910. ↑ টার্নার ১৯৬৬, পৃ: ৮১১. Entry 14024. ↑ টার্নার ১৯৬৬, পৃ: ৭৬০. Entry 13139. ↑ টার্নার ১৯৬৬, পৃ: ৪১. Entry 941. ↑ টার্নার ১৯৬৬, পৃ: ৭৬৬. Entry 13271. ↑ অজয় মিত্র শাস্ত্রী; আর. কে. শর্মা; দেবেন্দ্র হান্ডা (২০০৫), Revealing India's past: recent trends in art and archaeology, Aryan Books International, পৃষ্ঠা ২২৭, আইএসবিএন 8173052875, It is an established fact that during 10th-11th century ... Interestingly the language was known as the Gujjar Bhakha. 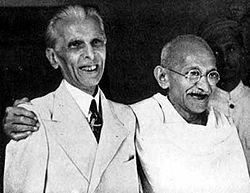 ↑ রেহমান, জিয়া উর (১৮ আগস্ট ২০১৫)। "With a handful of subbers, two newspapers barely keeping Gujarati alive in Karachi"। দ্য নিউজ ইন্টার্ন্যাশানাল। সংগ্রহের তারিখ ২ মে ২০১৮। In Pakistan, the majority of Gujarati-speaking communities are in Karachi including Dawoodi Bohras, Ismaili Khojas, Memons, Kathiawaris, Katchhis, Parsis (Zoroastrians) and Hindus, said Gul Hasan Kalmati, a researcher who authored “Karachi, Sindh Jee Marvi”, a book discussing the city and its indigenous communities. Although there are no official statistics available, community leaders claim that there are three million Gujarati-speakers in Karachi – roughly around 15 percent of the city's entire population. ↑ টার্নার ১৯৬৬, p. 44. Entry 992. ↑ টার্নার ১৯৬৬, p. 203. Entry 3856. ↑ টার্নার ১৯৬৬, p. 30. Entry 684. ↑ টার্নার ১৯৬৬, p. 401. Entry 6969. ↑ টার্নার ১৯৬৬, p. 502. Entry 8947. ↑ টার্নার ১৯৬৬, p. 706. Entry 12193. ↑ টার্নার ১৯৬৬, p. 762. Entry 13173. ↑ টার্নার ১৯৬৬, p. 766. Entry 13276.